Love the fact the Australian media is going to town on Shane Warne. Just minutes before O’Keefe struck with his first wicket, Aussie spin king Shane Warne had criticised O’Keefe as an ineffective spin-bowler and the “weakest” bowler in the Australian attack. “O’Keefe is the safe option because you know he’s not going to bowl much rubbish,” Warne said. “You don’t see him as a huge danger with big-turning deliveries. He bowls tight. O’Keefe gave him the perfect response — 25 balls that every bowler dreams of: W 1 W . W . . . . . . . 1 W 1 . . . W 1 . . 1 W.
Steve O’Keefe has delivered the perfect response to Warney. AUSTRALIA took control of the first Test in Pune on a day of high drama and action. Australian cricket was in crisis on Friday night after pay talks between players and the governing body fell apart. 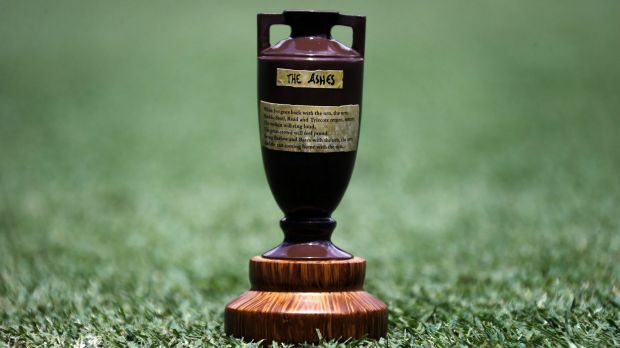 Australia's cricketers have been warned the Ashes could be scrapped even if a pay deal is reached. Cricket Australia has signed a six-year deal for broadcast rights in the sub-continent, with Sony Pictures Networks India beating incumbent rights holder Star India, in time for November’s Ashes series, reports The AFR. The deal, which will be announced on Tuesday morning, will see Sony Pictures take exclusive media rights for all men’s international matches played in Australia. The deal covers India, Sri Lanka, Pakistan and Bangladesh. The deal will cover a number of Australian tours by the Indian and Pakistani cricket teams, as well as a South Africa tour and the 2017-18 and 2021-22 Ashes. Sony Pictures also acquired broadcast and digital rights to women’s international games played in Australia. Both the men’s and women’s Big Bash League Twenty20 tournaments are included in the deal with Sony. The face of Test cricket could be altered drastically with a new league structure set to be voted on this week. UPDATE: THE young boy who was hit by an Ellyse Perry six at North Sydney Oval was today resting at home under the observation of his parents. There is shock in Australian cricket at a report of an alleged spot-fixing attempt on the third Ashes Test, which starts in Perth on Thursday. Where does the future lie for cricket broadcasting in Australia? Rupert Murdoch and Frank Lowy reacted wisely to seeing the Four Horsemen of the Apocalypse charging towards their empires. Major spectator sports have opened the stable door. The battle for cricket broadcasting rights in Australia between the Nine and Ten networks and tech giants such as Amazon could result in content going behind a paywall, an expert says. A Cricket Australia delegation has flown to the US to meet the heads of the CBS network in the hope of drumming up more interest in the next ­television deal. 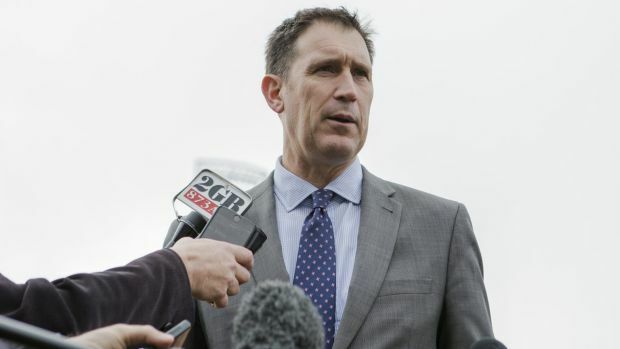 The Australian understands chief executive James Sutherland and executive general ­manager Ben Amarfio are part of the party that also includes Ten Network executives. Nine and FOX Sports are trying to lock down cricket rights, according to today’s AFR. The bid could be as high as $150m a year for 5-7 years. A soft result for EPL rights in the UK suggests the glory days are over. Cricket and tennis rights in Australia will be the next test.